SEO is possibly one of the most misunderstood elements of the new digital environment yet it is the absolute foundation of any online strategy. The rise of content marketing has seen marketers and agencies embracing content creation for the web yet without an understanding of search, content strategy has little reach and very little benefit. Social media marketing is another element that has gone from strength to strength and again without an understanding of Open Graph, optimised copy and titles, author tags and other SEO considerations it is like trying to row a boat with a couple of forks! 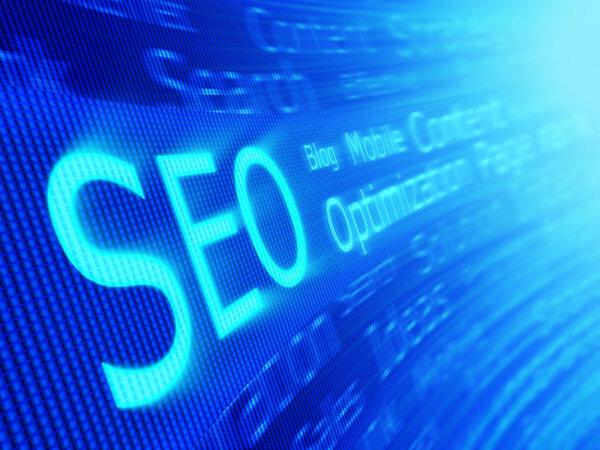 What is SEO and why is it important for marketers and agencies to understand the fundamentals? Number one spot on Google guaranteed! So to distance ourselves from this type of spam many use phrases like inbound marketing to describe what we do. But in the end what we do as SEOs and as marketers is to use a range of constantly evolving strategies which straddle the divide between marketing and tech to drive business growth using the internet. If you are developing a web based marketing strategy you really do need to understand some of the basics of SEO – maybe not go deep into the rocket science stuff – but a good solid foundation of what it is and how it works. Here are 8 fundamentals you need to be aware of if your business is looking at a healthy web presence. 1. What does Google really want from us? Google’s needs are relatively simple. Google requires high quality answers to billions of questions. Then Google needs to put those answers into a hierarchy based on how good Google thinks the solution might be. Number 1 position is probably the best answer, number 2 is maybe the next best, number 3 might be news or a video in case the searcher didn’t like the first 2 choices, number 4 could be a map so you can drive to the retail outlet, or it might be an image so you can look at what you are searching for… and so on and so on. The algorithm that orders billions of web pages and billions of searches has to be incredibly complex. So what does Google want from us as marketers? High quality, solutions based content that is correctly structured and optimised so that Google’s robot can crawl and index the content and judge the value through a number of (300 plus at present) ranking factors. If Google does not have this massive pool of content there is nowhere to place “paid search” ads (PPC) which is Google’s primary revenue source. Google’s ongoing success relies to a great extent on the ability to give as close to the best possible results for any given query. If Google gets this wrong Bing, Yahoo or even DuckDuckGo would happily step up. It wasn’t that long ago you could get away with a slightly buggy, low quality website or you could pop up a thin page announcing what you were selling and you could amp things up by automating views, links or any other popularity indicator. You would be rewarded for using a combination of search engine hacks with high page positions and tons of traffic resulting in high growth in sales. As of 2012 this is no longer an option. In order to eliminate manipulative practices and to cut out the spam and black hat SEO practices Google has really taken the initiative in the fight. Two algorithm updates in particular have changed the game – Panda Update and Penguin Update. Panda’s target was “content farms” such as low quality directories, article sites and web 2.0 plus sites that were offering little value such as affiliate based sites. Unfortunately there was a fair bit of collateral damage to trustworthy sites with some structural similarities with the target sites. Accidental duplication was the big hit – and Google’s attitude is pretty much that it is up to you to stay up with the guidelines and fix any problems. The Penguin update however was all about your link profile – that is the number and quality of sites linking to yours and what phrases they use to link to you. Too many links saying the same thing (unless it is your brand name) = penalty. Links from “bad neighbourhoods” = penalty. Too many links from the same type of sites = penalty. Links from low quality “link building strategies” = penalty. Bought or sold links = penalty. At the same time Google’s requirements for technical compliance became much firmer. How reliable is your hosting and who looks after your DNS? I have seen a number of sites punished for server connectivity issues that were completely out of the website owner’s hands. How fast/slow is your website? How clean is your site code? Are redirects correct and are key elements configured correctly? Technical compliance is hugely important for any web based campaign in 2013! The way the web works is that a large proportion of content surfaced in search results or shared on social media is reliant on the effectiveness of the title. Titles in search are populated by the Title Tag on any piece of content. This is represented in your website page code with the following <title>Whatever your title is</title>. This is hugely important and any website must have the ability to edit a title tag for any published content. You also need to know the character limitations for this tag and I would advise you do not exceed 60 characters including spaces. 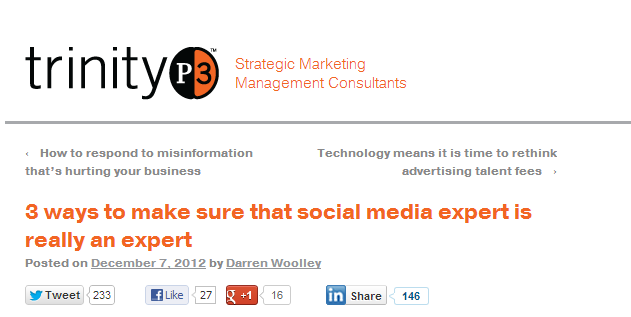 Social media sites usually pick up the actual title of the post so you need to consider this when deciding on a title. Twitter is a title and a link, Facebook, LinkedIn and Google+ give a title, a description and a link. Facebook has Open Graph tags which you must add to any content in order for it to look good on Facebook. Ever see posts where the image doesn’t show or the image is of someone who has commented or an ad from the page? Do you ever see titles on Facebook shares that do not make sense or the description is taken from something not relating to the post? This is where Open Graph tags come into play. Clickbait is simply the art of creating a title that is so compelling that people need to take the action you want which is to click the link and check out the content. However, do not make the mistake of coming up with an irresistible title that does not actually relate to the content – you only have to betray trust once to never succeed with that person again. My advice is to put at least 20% of your content creation effort into crafting a great title – more if possible! Make sure your title tag is less than the maximum length and for social media don’t go too far over this with your actual post title. There is nothing worse than spending all that time only to have the last 2 words cut off on LinkedIn. Linkbait is a slightly different concept. And the better the site performs in search. Creating linkbait content can be done in a number of ways – here are 3.
viral content – content that gets a huge amount of views, shares in a very short period of time gains a large number of links as it gains momentum. 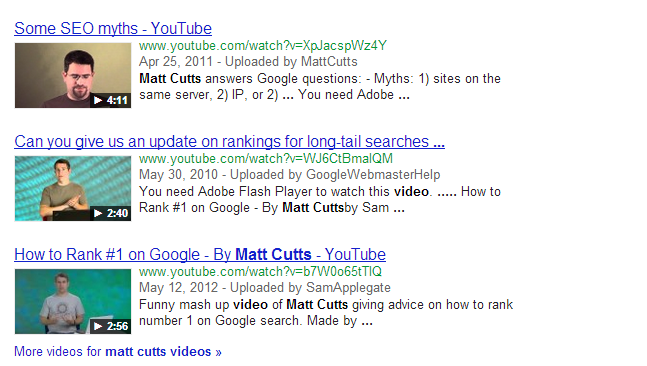 The popularity is recognised with high page positions in search. infographics that can be shared – infographics are currently a very effective way to gain a lot of links. Many will give you the HTML code so you can republish on your own site with a link back to the original = instant links from a range of sites! long form or epic content – this is content that is so detailed in what it describes and gives so much value that it becomes a reference document and people will link to it as a full explanation on a topic or to associate themselves with content showing high levels of expertise. Look at anything on SEOmoz, Kaiser the Sage, Kissmetrics and many others for the length of value giving posts. One of the biggest benefits of an effective content strategy is in the development of an engaged and motivated audience. …will be noticed and if the branding is consistent you will develop a tuned in audience over time. Having a large social media reach is very important in promoting your creations but the advantages of high visibility strategic partners, brand advocates and a healthy presence through interaction on top industry sites cannot be underestimated. This is where metrics around shares, retweets, likes, +1s come into play. Highly popular material tends to snowball. Do you ever think twice about sharing content that has only 1 tweet or 1 like? You are not alone – many people are not keen to share what is seen to be unpopular content in case they are missing something and it is not as valuable as they thought it was – fact. The power kicks in when you have a big audience who are waiting for each value giving post you publish. Within minutes these followers will have shared or added to curation platforms like paper.li or scoop.it or may have added your content to sites like inbound.org. You now have the ability to reach a very large audience quickly and the benefits are surprising. Traffic growth to your website is impressive to say the least and in the case of this site a new post will hit the top few spots on Google for a targeted keyword in 3 to 4 hours. This is only going to get bigger in 2013. Facebook announced big changes to its platform on the 15th January with the announcement about Facebook graph search. In 2012 LinkedIn has bought Slideshare, Facebook has grabbed Instagram, Twitter got Posterous and be in no doubt that Google will be even more aggressive in its marketing of Google+. The use of authorship as a ranking signal is one of the hottest picks for SEO in 2013 and we had a glimpse of how effective this is when author’s photos began appearing in search results next to their content in 2012. If you do not have a presence on Google+ you will not be able to take advantage of this big brand boost! Facebook seems to be struggling with an identity crisis at present with some fairly punitive measures dished out to business pages while making personal pages even more dynamic. Reducing a brand’s reach substantially then attempting to sell that fan reach back to businesses post by post was a surprising move and one that has lost Facebook a lot of support from a number of businesses. Facebook has no influence on Google results and I don’t see this changing in the near future, however Facebook is a big factor (right or wrong) in allocating authority scores on influence measurement providers such as Klout. You can’t really afford to ignore Facebook although B2B results are not particularly brilliant. Twitter is a wild card – anything can happen in 2013 and my pick is that Twitter will continue to grow in importance. It is the fastest crowd sourced news platform around and this can work for and against it. When something hits big Twitter is the very definition of viral as content good or bad can spiral out of control extremely quickly. Have no doubt, Twitter will be a big player in 2013. How does all this social media activity relate to SEO? Because links alone can be manipulated (to a lesser extent now) the major search engines take into account social popularity of content as a ranking factor. There is more about how social signals affect ranking here but the key point is that the numbers of shares through social media and the level of authority of the sharers all count toward your overall scores. Ignore social media at your peril. A great deal of visits should be appearing in the Direct traffic figures in your analytics. Much of this comes from brand presence and can be directly measured against marketing spend in other media – television, print, direct marketing and many other sources. This is split with Google organic data as some people will type your brand name into the search bar and others will type your web address into the address bar. Many of your online strategies can also influence the Direct traffic data. Being active as a contributor to heavyweight trade and industry sites will often not carry the benefit of a link within the piece if the site is really big. Much of the time you will not even get a link from your author page on these sites. However, the exposure gained by contributing at this high level is enough to gain a substantial increase in traffic and links to your website. A smart commenting strategy will also bring you high visibility and lots of extra traffic. Be prepared to be generous with your expertise and consider each comment you make online to be a representation of your brand. Stay away from petty or abusive behaviour and engage in a useful and value based way. Respond where there is more to be added to the discussion and always be respectful in your communications. The same goes for social media conversations. Avoid pack mentality behaviour, don’t be obnoxious and most of all express gratitude where it is genuine. Over time you will begin to be recognised as thoughtful, generous, and an expert in your field. Your name and image will become easily recognisable which adds to the social proof factor. There are a number of possible SEO mistakes and most organisations are making at least some of them. The most logical solution is to have an SEO audit on your website to identify potential errors or penalties so these can be addressed one by one. The idea is to tick as many boxes as possible – perfection is not an option as everything moves so quickly in SEO that what is deemed to be compliant one day may be penalised the next. 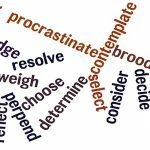 Here are a few of the more common mistakes I come across. confusing navigation – how intuitive is the design? is it easy to find where you need to get to? no content strategy – no blog on your website? No commitment to building your site authority by publishing quality content on a regular basis? And there are many more but that will get you started. Crossing the line and indulging in non-compliant SEO practice will get your site dropped or banned faster than you can say Webmaster Guidelines! cloaking – white text on a white background? No! 2012 was an extremely volatile year in search. Google really shook things up with multiple major changes to the algorithm. The target was webspam and manipulative practices that gain high page positions in search for websites that did not deserve to be there. And Google was largely successful. Traditional link building techniques are no longer valid and SEO is now closely aligned with content strategy and social media authority. That is how SEO strategy is shaping up for 2013.